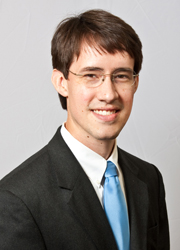 Daniel R. Duello is a partner with the firm’s Jacksonville office. He practices in the area of general civil litigation, insurance coverage, bad faith and extra-contractual liability, toxic tort, construction defect and professional liability defense. Mr. Duello also has experience handling Errors and Omissions claims, including those brought against insurance brokers and agents. Mr. Duello earned his Bachelor of Arts in 2004 from Emory University where he had the honor of interning with former U.S. Congresswoman Denise Majette. Mr. Duello received his Juris Doctor in 2007 from the Georgia State University School of Law. While attending law school Mr. Duello interned with Fulton County Superior Court Judge John J. Goger, and was a member of the Student Trial Lawyers Association. Mr. Duello is admitted to practice in state court for Florida, Georgia, and South Carolina. He is additionally licensed to practice in the United States District Courts for the Southern, Middle, and Northern Districts of Florida, and the Southern and Middle Districts of Georgia. He holds the AV Peer Review Rating from Martindale-Hubbell, its highest ranking for ethics and legal ability.